First impressions count! Shopping centres are fast becoming modern living centres, for shopping, relaxing and catching up over lunch or a coffee. However, retail outlets do not have the same positive feelings for everyone. Studies have shown when shopping is a purposeful activity that is constrained by time and/or budget, which is often the case, this can evoke stress, which may in turn lead to avoidance behaviour towards retail environments. The more the shopping environment makes us feel good the more likely we are to shop there and the longer we are likely to stay. People’s urge to seek connections with nature suggests that plants are a natural remedy for stress and can help uplift negative moods. Therefore, by adding greenery and plant displays creates an immediate positive impression. Plants are not only aesthetically pleasing; they help create a relaxing environment whilst cleansing the air too. 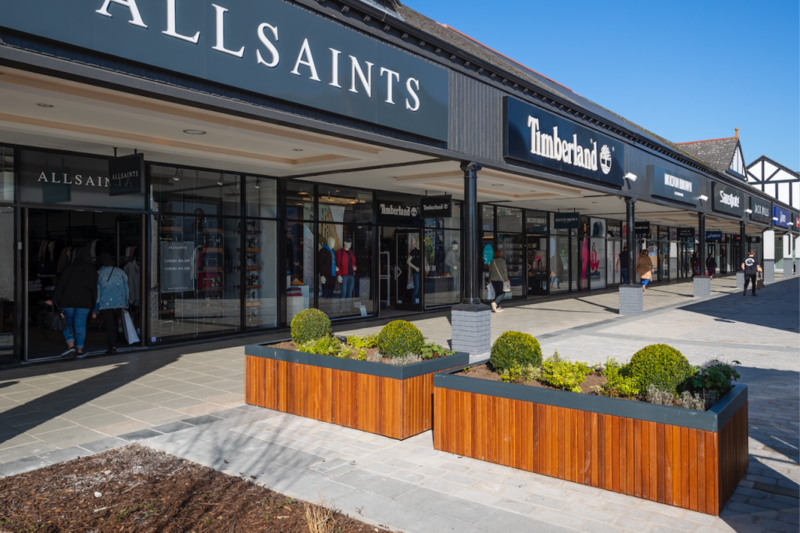 Research has proven by introducing plants and trees into shopping malls and town centres, this encourages people to stay for longer and visit more frequently. 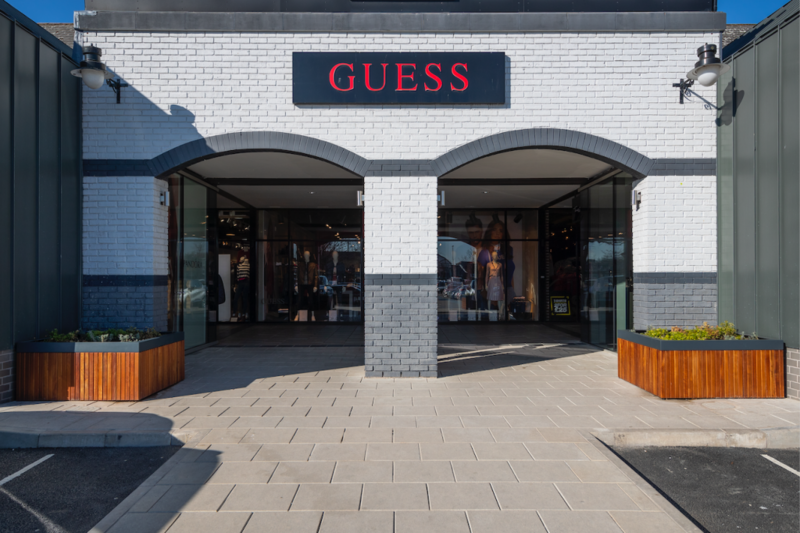 The Nassauer 1995 study has also shown customers will pay up to 12% more for their goods and rate the quality of the products they buy 30% higher than other ‘non green’ outlets. 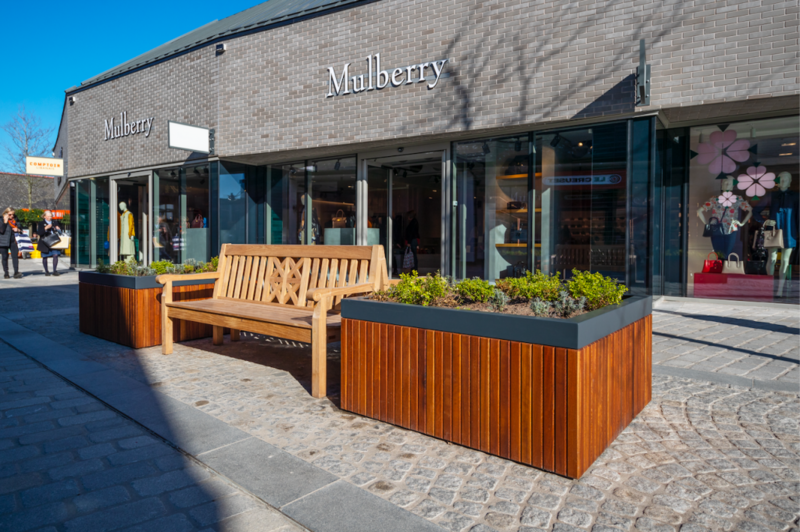 Adding planters with plants in retail outlets will accentuate indoor and outdoor spaces creating a warm welcoming environment which will encourage consumers to relax and enjoy their shopping experience. 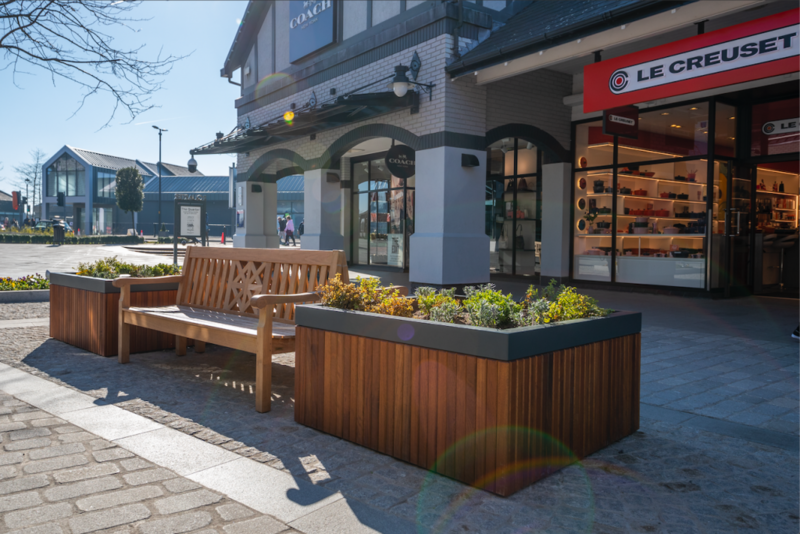 Glass Reinforced Plastic (GRP) is very durable and will stand up to high traffic areas such as shop entrances, restaurants, cafes and coffee shops. Eye catching, quality planters with plants at the entrance of any building will add curb appeal. Catching the attention of passers-by, often increasing profits. Planters can also be used as a branding opportunity. Adding a corporate logo or company colour to any planter optimises advertising for a company. 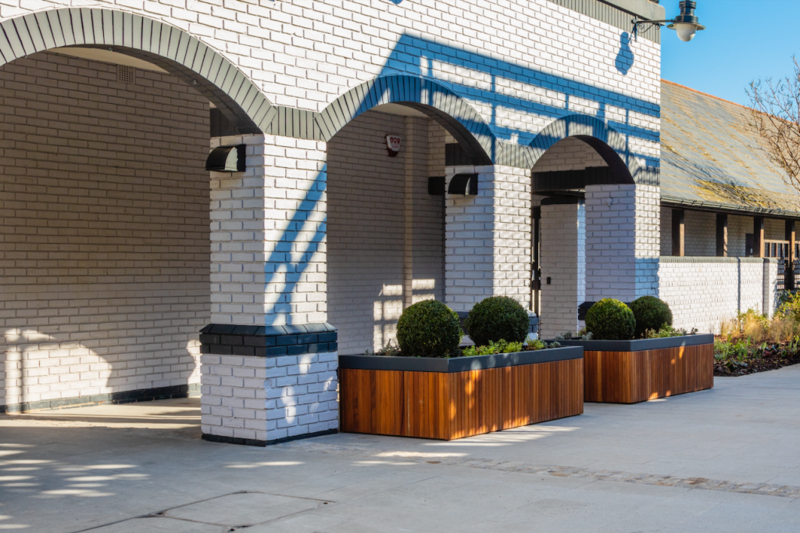 Enjoying a meal outside is one of life’s simple pleasures therefore, offering a stylish, comfortable surrounding for customers to partake in this will attract more customers, add to customer satisfaction and in turn traders benefit from return custom. Barrier troughs provide an excellent definition of space, where guests can sit privately and enjoy the feeling of sitting in a secluded area. 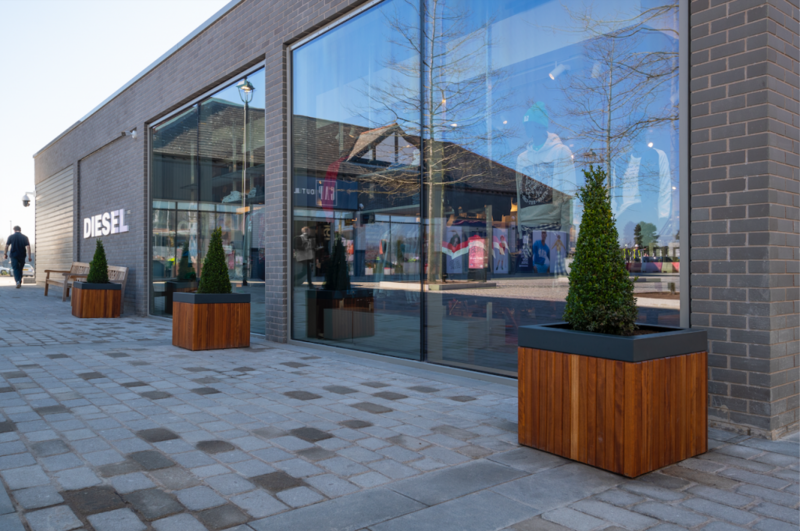 At Europlanters we offer guidance and inspiration with designs, our planters offer scope for planting at every scale from slim line, unobtrusive displays to statement pieces and street furniture. Contact one of our estimating team for a free quote.